What size are Instagram photos? What is the Instagram profile picture size? What’s the Instagram story size? What is the Instagram video size? Believe it or not, all of these questions and lots more and very common. 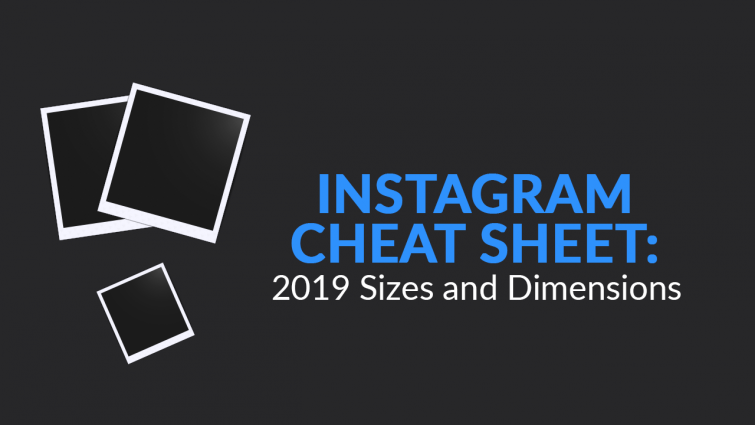 At SkillsLab, we like to help our audience out, so we’ve published all the Instagram sizes and dimensions in one single article. We’ll be keeping this size and dimension guide up-to-date with any new changes, so be sure to add this page to your bookmarks! One of the most common questions we see daily, what is the Instagram photo size? The size for Instagram phots is 1080 x 1080 pixels. Previously the sizes were 612 x 612 pixels and then was changed to 640 x 640. In July 2015, Instagram changed the size to the current size, 1080 x 1080 pixels to keep up with Retina. The above size is for square images, which look the best on the platform. However, if you’re looking for the verticle and horizontal image sizes see below. Instagram supports most if not all types of video file formats you can of, but the most common are mp4 videos. Keep in mind, the maximum video file size for all formats is 4GB. The Instagram Story size is 1080 x 1920 pixels. Instagram Story videos can be up to 15 seconds per video. If you’re wanting to share longer video than 15 seconds, that’s still possible. Using an app like CutStory will split your video into 15-second clips allowing you to upload the full video. The Instagram profile picture size is 110 x 110 pixels. However, when viewed on a web browser, the profile picture is larger, so to ensure you have a high-quality picture you should consider using an image around 180 x 180 pixels. The above is the recommended profile picture size, but most sizes as long as they are bigger than 110 x 110 pixels should be fine – you may need to crop it depending on your logo/content you want visible.